There are few figures from history we can say really did do right by the world. Alan Turing, the Second World War Enigma code breaker, is one of those few. And the UK has done him wrong. Having served his country with such genius, Turing was convicted in 1952 for ‘gross indecency’ and sentenced to chemical castration – the forced injection of female hormones. For being gay. For being the kind of human being that was acceptable enough to save lives in WWII but not acceptable when it came to his sexuality. Two years after his sentence Turing took his own life. I can’t begin to imagine the torment and the betrayal he must of felt. 2012 will see the Royal Mail issue a set of stamps commemorating Britains of Distinction. Gordon Brown pardoned Turing in 2009 and yet, for some god awful stupid reason, Turing’s conviction for gross indecency has not been repealed. So please take advantage of the one of Cameron’s ideas and sign the e-petition below. 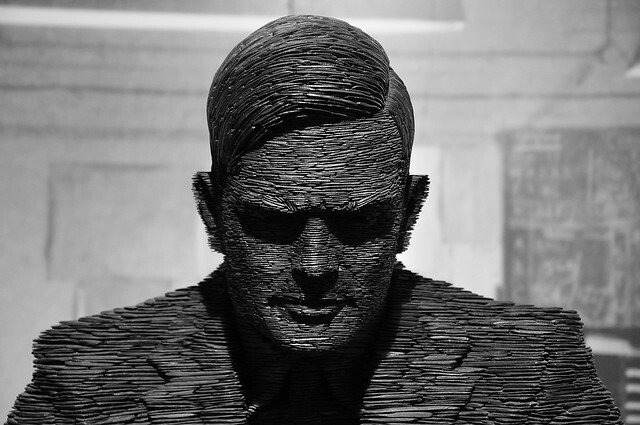 100,000 signatures and repealing Turing’s conviction will become eligible for discussion in the House of Commons. We owe him and so many other gay men who were treated so appallingly before the decriminalisation of homosexuality. Do your small online bit and lets repay the debt we owe Turing. Let the many repay the few.